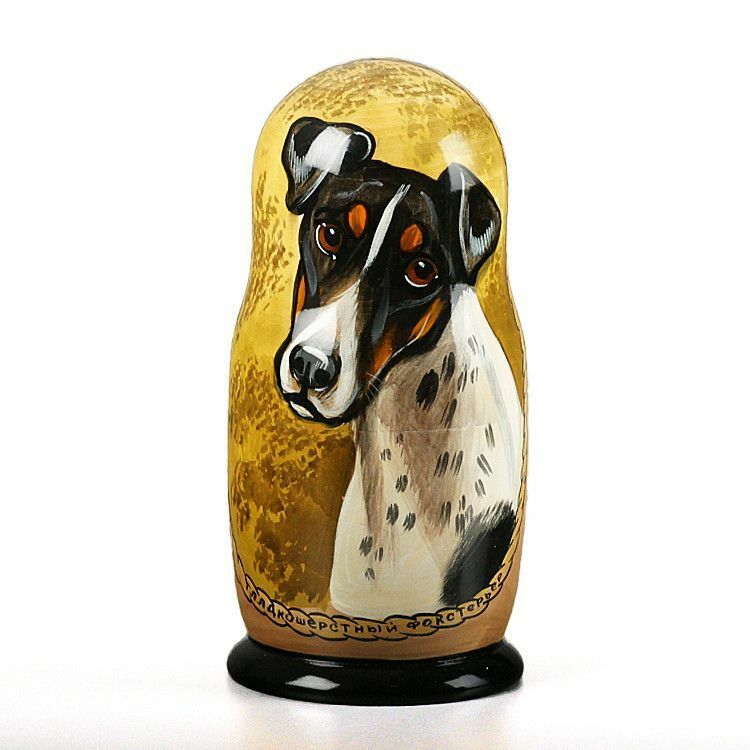 This attractive Smooth Fox Terrier dog breed nesting doll is imported directly from Russia. 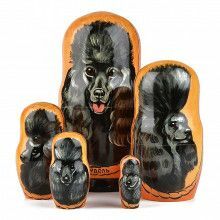 It is hand carved from birch wood and hand painted then signed by Russian artists. 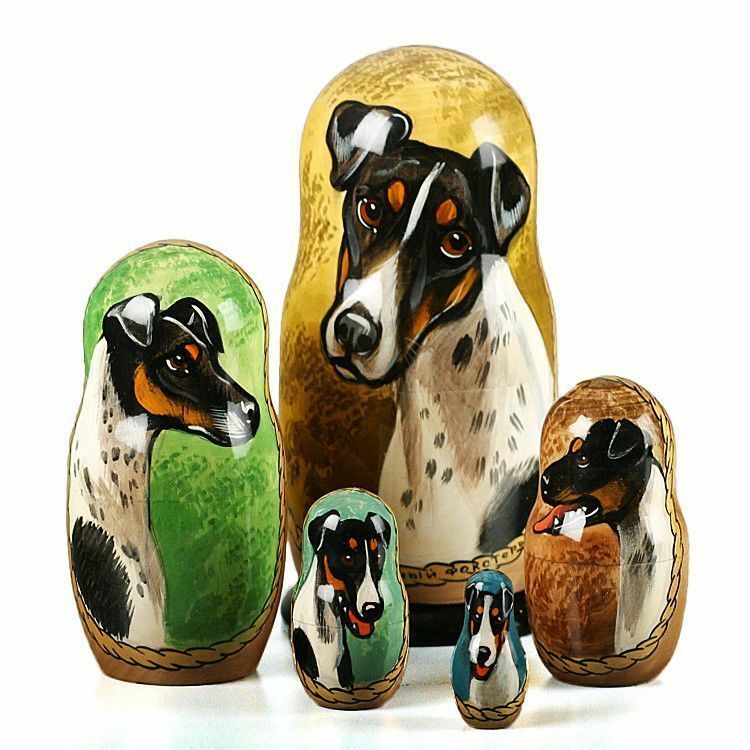 Open it up and it reveals a set of smaller dolls inside with pictures of different smooth fox terriers. 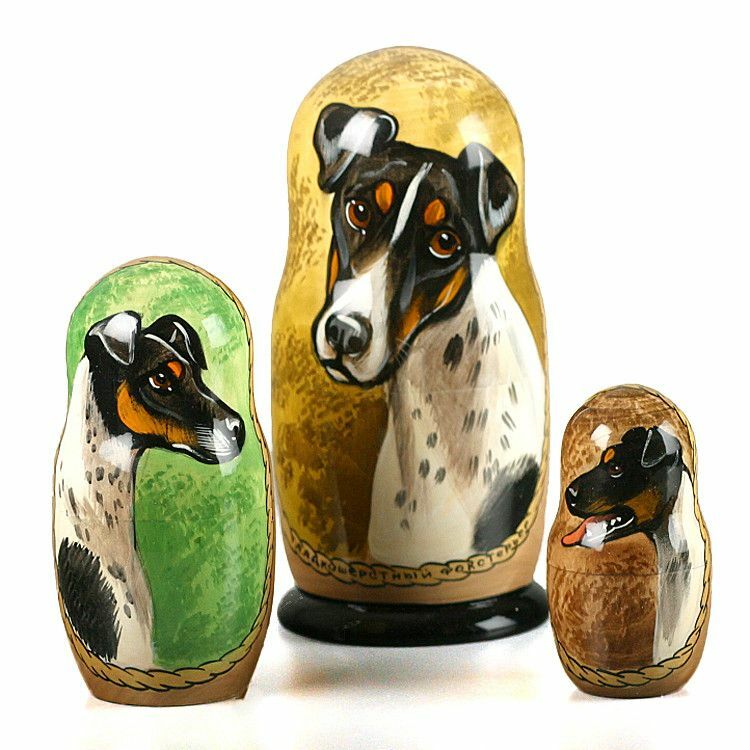 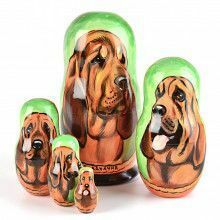 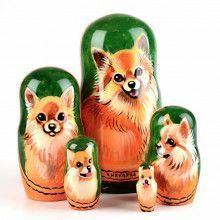 This unique nesting doll is sure to make a great gift or home decoration for owners of this dog breed.